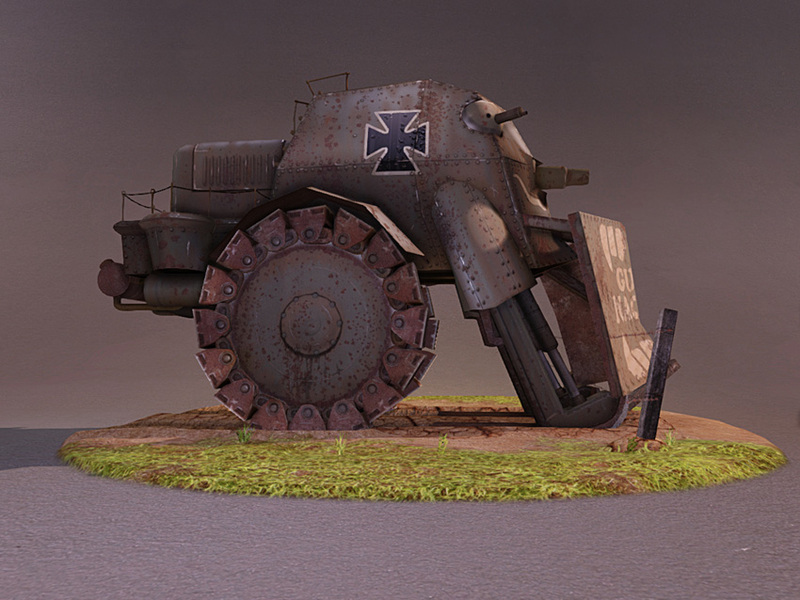 Alternate WWI History Armored vehicle - fusion of fantasy elements with real mechanical designs of early 20th Century. Screenshots from scene set up in Unreal Engine. 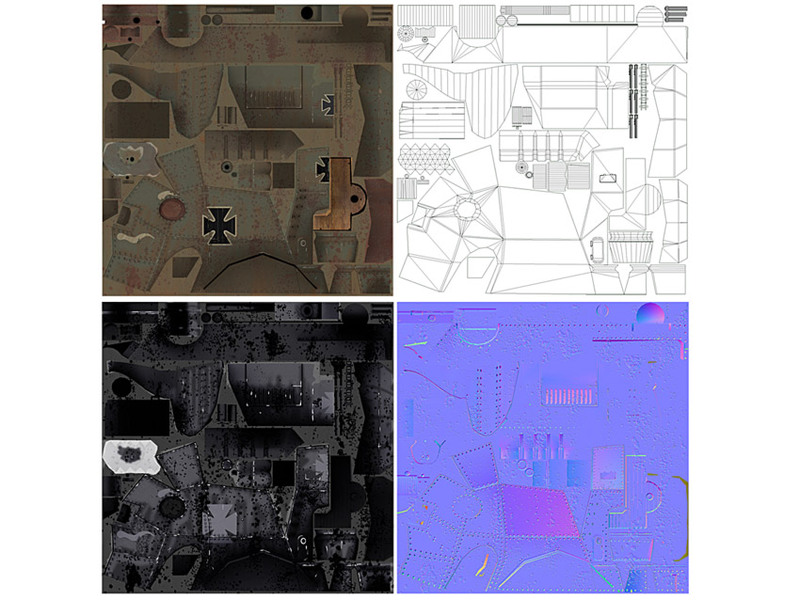 Built in 3DSMax 2009, Normals | Ambient Occlusion maps are generated via High Resolution mesh bake. Screenshots from scene set up in Unreal Engine. 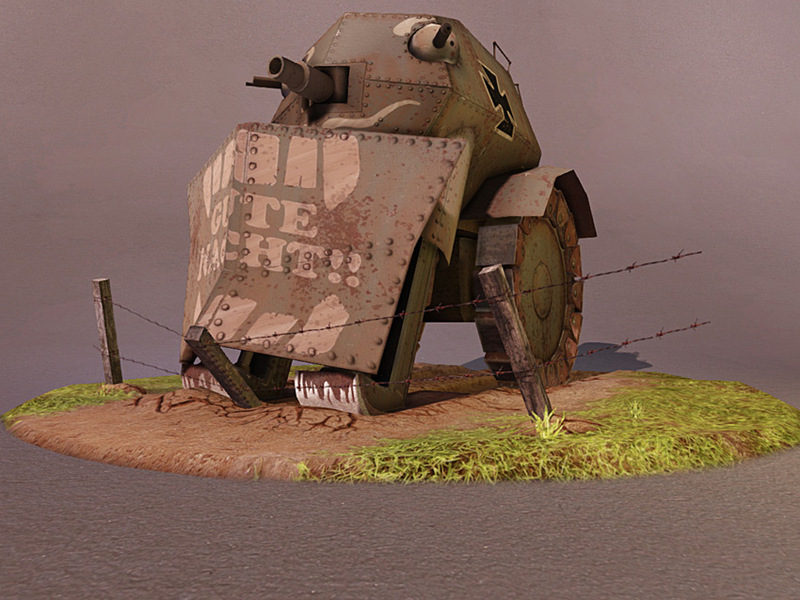 Additional texture work done in Photoshop CS3 and nDo. 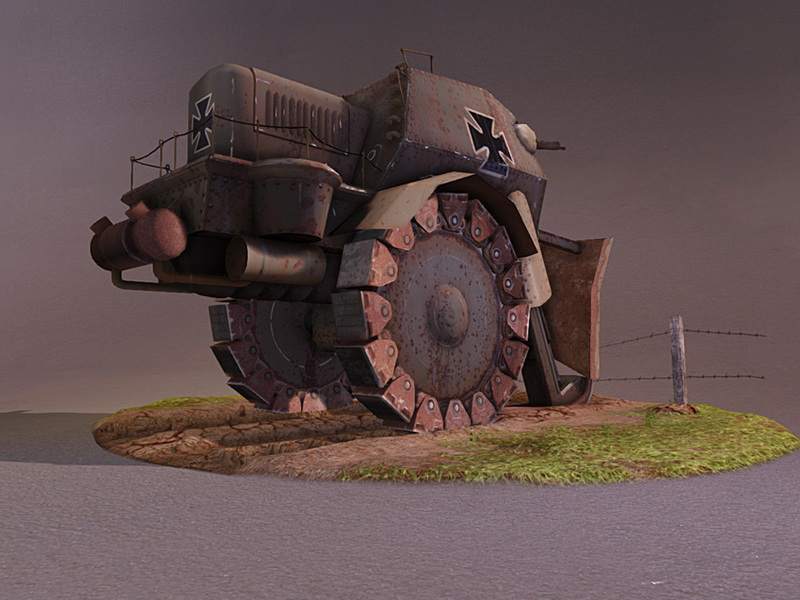 3DSMax 2009, Photoshop CS3, nDo and UDK. 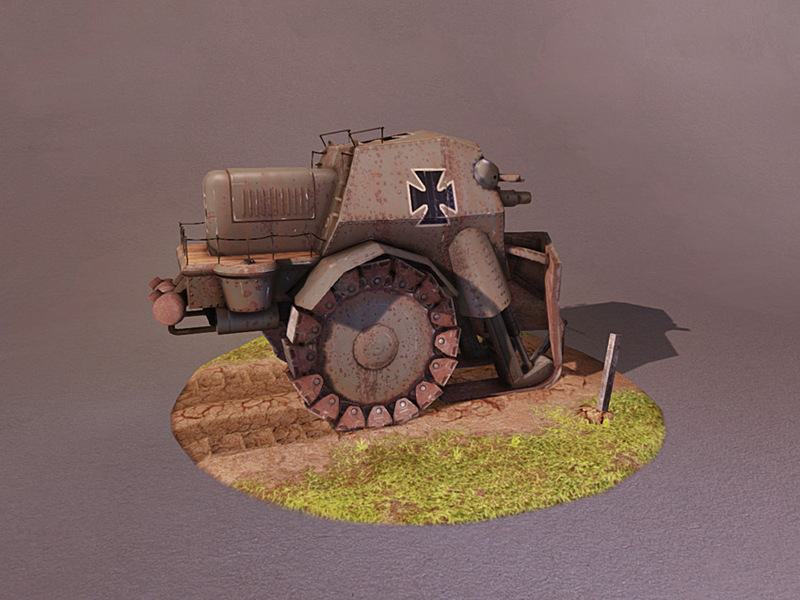 Mostly hand painted vehicle texture - photosourced materials minimally used for wood grain and terrain only. Metal surface with chipped paint used as a base was hand painted with acrylics and weathering techniques. 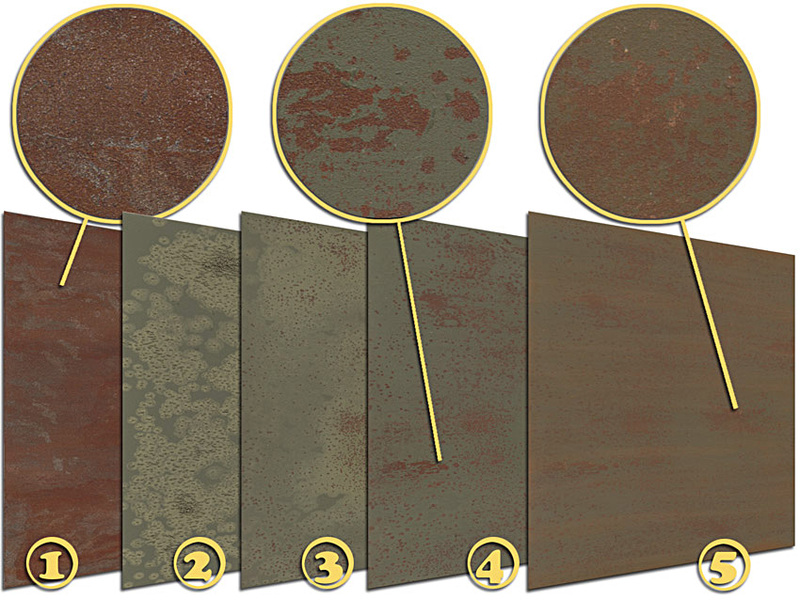 Scanned at each stage, resulting textures are 7500x pixels - set in layers and allowing control over levels of corrosion, grime and more convenient than altering photosourced surfaces of this size . 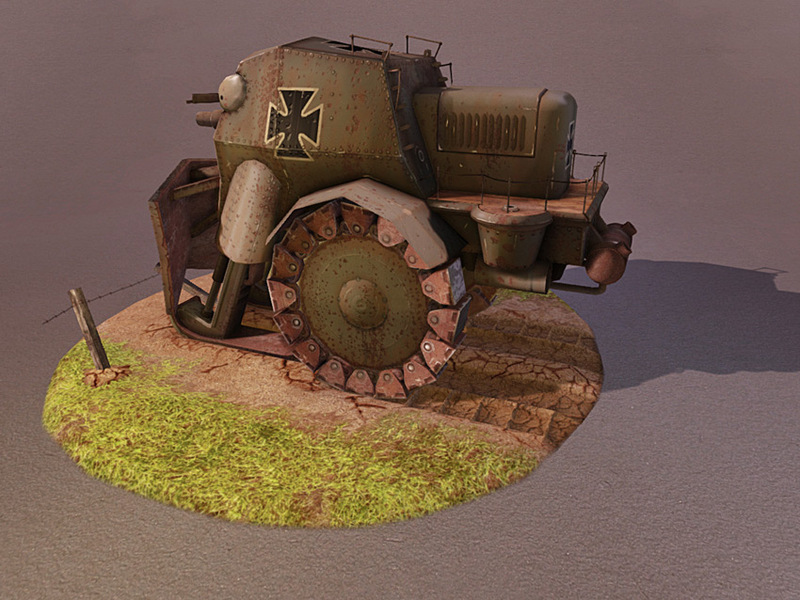 Main body, 1024x texture set - diffuse, specular and normal maps. 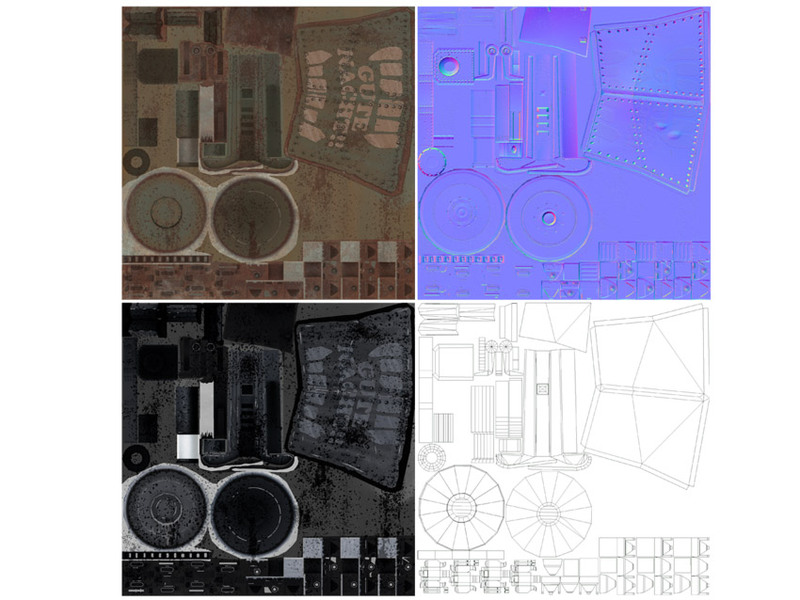 Driving elements and Details texture, 1024x texture set - diffuse, specular and normal maps.